With the weather warming up, now is the perfect time to plan your next golf trip to Myrtle Beach! The Marina Inn at Grande Dunes, a luxury 4 diamond resort, offers the best Myrtle Beach golf packages including the Grande Dunes Resort Course located right on-site. Marina Inn at Grande Dunes is centrally located to the best golf courses in Myrtle Beach so you’ll have the opportunity to play them all! And the fun doesn’t stop once the round is over. 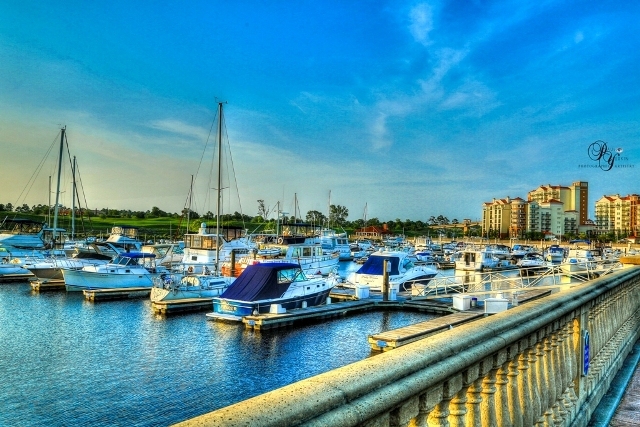 Marina Inn is centrally located to all the exciting to do along the Grand Strand. A championship, 18-hole, links style golf course, our resort course is conveniently located in Grande Dunes. It’s a Par 72 course with Bermuda grass fairways running along the beautiful Intracoastal Waterway. No wonder PGA Magazine said it is “one of the great golf clubs in the world”. This is our on-site course so by staying with Marina Inn at Grande Dunes you won’t have to travel far to play a challenging round of golf! The Dunes Golf and Beach Club is located right next to the ocean, and is the only course in the Grand Strand to have views of the ocean. 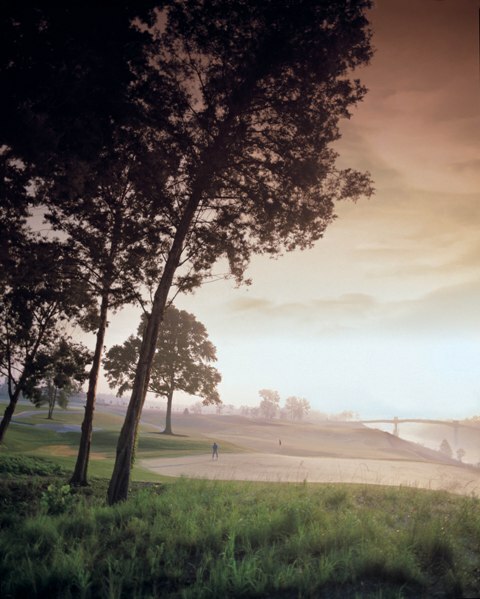 You’ll be playing in the footsteps of the greats when you tee of at this Robert Trent Jones designed course, which has been host to PGA Tours, Senior PGA Tours, Women’s, Amateur, National, and State Events. You’ll even have a chance to play the infamous Hole 13, dubbed ‘Waterloo’ that is known worldwide and is one of the greatest holes in the world! Nestled in the heart of Myrtle Beach, Pine Lakes Country Club is a favorite among locals. Known as the first golf course of Myrtle Beach, the Grandaddy course has been restored with the back nine reflecting Robert White’s original design and the front nine enhancing what players have come to love about Pine Lakes. It’s no surprise this country club’s classic features a rich history that keeps golfers coming back every year! The four courses at Barefoot Golf Resort are named after four Hall of Fame players – Norman, Love, Fazio, and Dye. Each course has its own quirks and characteristics; just like the players! This resort was named as the ‘2017 North America Golf Resort of the Year’. You’ll love playing the variety of courses at Barefoot Resort & Golf. Take a break from playing and enjoy some of the hottest attractions and dining located up and down the Grand Strand! The perfect place to go and spend time when you’re not quite sure what to do. Broadway at the Beach, located centrally in Myrtle Beach, is home to a movie theater, various restaurants, specialty shops, Ripley’s Aquarium, and so much more! Barefoot Landing, located right up the road from Marina Inn in North Myrtle Beach, is filled with delectable restaurants and shopping and right on the marina with a view that won’t disappoint. Whether you’re in search of a new driver or need some new gear or balls – stock up on everything you need to play at one of the two locations along the Grand Strand! A local’s favorite oceanfront spot, Ocean Annie’s Beach Bar is where you’ll want to spend happy hour after a long day on the course! There’s plenty of live music and ice cold drinks to unwind after the game. A local brewery in Myrtle Beach, at New South Brewing Company you can try a unique variety of craft beers and even schedule a tour to get a behind the scenes look of how their beer is made. After a long day on the greens, grab your friends and treat yourselves to dinner at our fine dining restaurant on-site at Marina Inn! 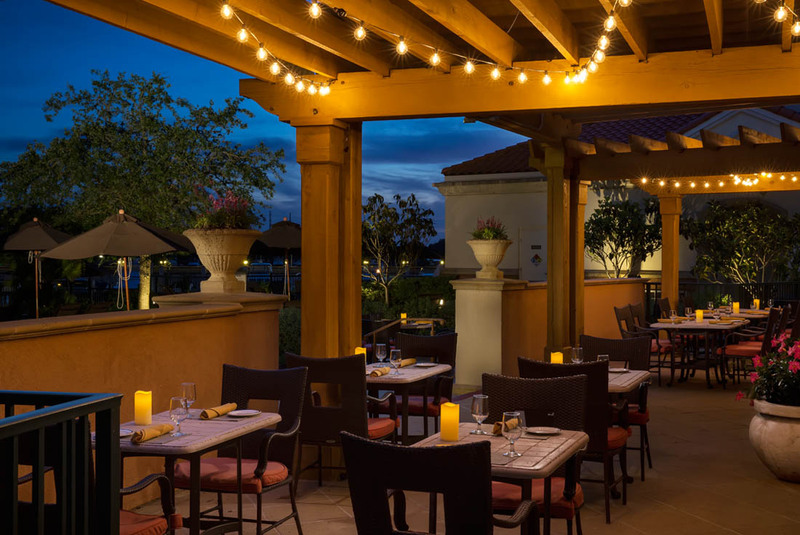 With a top-rated chef and an outdoor dining area, WaterScapes is the perfect spot to dine and relax so you can play another round of golf in the morning! Next time you’re planning your golf getaway to Myrtle Beach, make sure to choose to stay with Marina Inn at Grande Dunes. With a variety of golf packages and their ideal location in Myrtle Beach, they have everything you need for a good time. If you’re ready to book today, simply click here to see our current offers. Pack your clubs and we look forward to seeing you on the course! Next time you’re thinking about calling a meeting, instead of settling for a boring boardroom – mix things up and host your meeting at Marina Inn at Grande Dunes. A AAA four-diamond resort, Marina Inn has everything you need for your next company meeting or conference. Unique touches and our attention to detail make us the ideal choice among event planners. Located in the heart of Myrtle Beach, we’re only minutes from our private beach, award-winning restaurants, and top attractions that are perfect entertainment after a full day conference. The Marina Inn at Grande Dunes offers a variety of meeting spaces for your event. Options include a secluded 15,000 square feet of combined event space with luxurious surroundings for meetings and events of up to 700 guests. Treat your guests with refreshments before or after the meeting! Choose between a one-hour beer and wine reception or a continental breakfast with coffee, juice, and pastries. 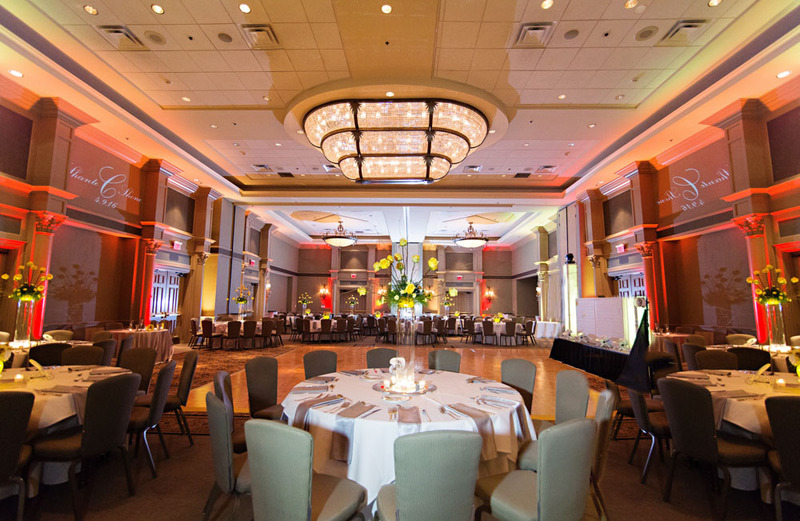 Our 5,100 square foot Nautilus Ballroom offers an elegant and luxurious atmosphere for your meeting. This space may be paired with the pre-function area for larger events. Whether paired with the elegant Nautilus Ballroom or the Loggia and Grande Lawn, this versatile space is 4,700 square feet and offers several options with breathtaking views of the Grande Lawn & Golf Course. This outdoor, but completely covered venue may be paired with an event in the spacious Pre-Function area or the outdoor Grande Lawn for casual or elegant events. Offering over 10,000 square feet of flexible outdoor space with charming, all natural views of the waterway and the golf course. The Grande Lawn is versatile for any type of event from casual cookouts to oyster roasts and weddings. Truly private and unique, the Sand Dollar Boardroom is 600 square feet and offers a distinct environment with relaxing views. This room is perfect for intimate meetings and can seat up to 12 guests. Our Coral room is perfect for a breakout or small meeting. The Coral Room is 600 square feet and offers outstanding views of the golf course. Our Triton Room is an additional option for a breakout or small meeting with 500 square feet and relaxing views of the Grande Lawn & golf course. Located off of our signature restaurant Waterscapes, this intimate room is a relaxing alternative from the meeting/event space. You can utilize the attached patio for a relaxing indoor/outdoor event. An additional option for a breakout or small meeting that is 250 square feet with relaxing views of the Grande Lawn & golf course. Will accommodate up to 25 guests. Our completely outdoor space with panoramic views of the marina and golf course that is perfect for a small wedding ceremony or reception of up to 50 people. For your audio and visual needs, The Marina Inn at Grande Dunes offers a basic a la carte equipment such as microphones and LCD projector to complete full-service audio-visual packages. Let our team know what your needs are and they will be glad to provide you with the best possible audio visual solution for your event! Some of the most productive ideas are born outside of the meeting room! Whether on the fairway or at a wine tasting event, we offer several unique team building opportunities when you choose to stay in Myrtle Beach. Arrange for a round of golf at the Resort Course at Grande Dunes which boasts spectacular views of the Intracoastal Waterway while you’re putting for par. Check out a wine tasting at Duplin Winery and talk business while sipping wine grown right here in the Carolinas. There’s even an AR Workshop in Myrtle Beach where you can use power tools, paint and build your own souvenir. Ready to start planning your next meeting getaway to Myrtle Beach? Save now during our Spring 2019 special offers on meeting spaces here at Marina Inn! Check our availability and book now to save. 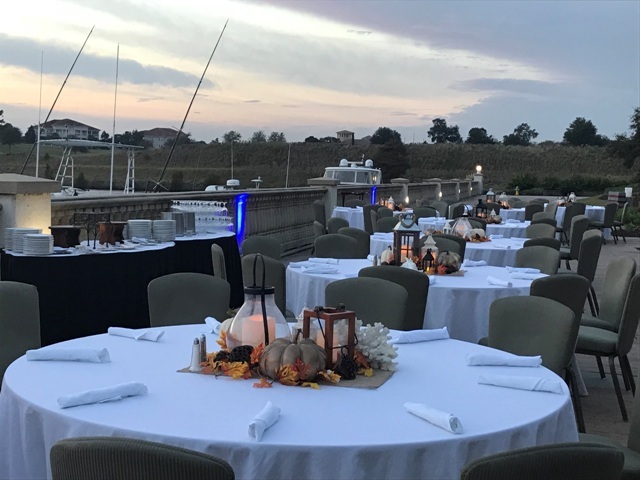 We look forward to hosting your next company event at the Marina Inn at Grande Dunes in Myrtle Beach! It’s Wine Time in Myrtle Beach! Tired of the hectic schedule and endless rat race? It’s time to make your escape to the luxurious four-diamond resort Marina Inn at Grande Dunes in Myrtle Beach! Whether you’re planning a romantic trip for two or a girls getaway with your closest friends, we’ve partnered with local Duplin Winery, to put together the ultimate way to unwind. Our exclusive Duplin Winery Package combines luxurious accommodations at the Marina Inn at Grande Dunes and the local flavors of Duplin Winery muscadine wine grown in a vineyard right here in the Carolinas. 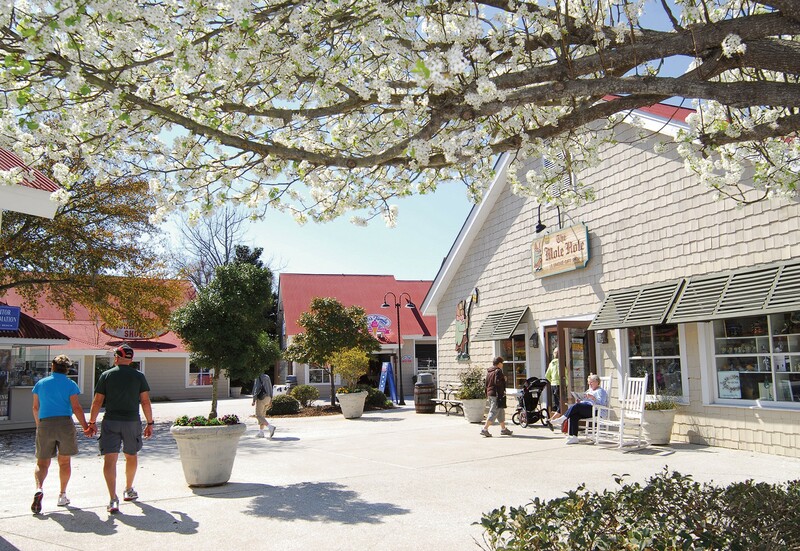 Duplin Winery is located in Barefoot Landing in North Myrtle Beach, which is just a short drive from the Marina Inn at Grande Dunes. And a custom wine basket that includes a bottle of select wine from Duplin, wine stopper, bottle opener, Muscadine, Pineapple & Habanero Salsa and crackers that you’ll receive upon arrival. Escape to our oversized guest room featuring a king bed, two cozy cotton bathrobes, imported cotton bed linens and even a private balcony with beautiful scenic views of the Intracoastal Waterway. The bathroom offers impeccable furnishes such as travertine tile floor and a rain shower head for a relaxing experience during your stay. Our Grande Guest Room is ideal for a romantic couple’s getaway or a relaxing girls getaway! Duplin Winery is known for its sweet muscadine wine offered in a wide variety of flavors. With Marina Inn’s exclusive Duplin Winery Package, you’ll receive 2 vouchers for a 45 min wine tasting at Duplin Winery and wine basket filled with locally sourced goodies. After you enjoy your wine tasting where you’ll learn all about the wine you’re sampling, head to their outdoor patio where you can relax in a rocking chair and continue to sip wine while you listen to live music under their beautiful oak tree. Instead of heading out for shopping and sightseeing, take it easy with one of our various luxury spa services! And the best part is … you won’t even have to leave your room to enjoy a little ‘me time’. Our licensed massage therapists are happy to take care of your needs and have a variety of services to choose from. We offer couples massages for a session of quality time with your loved one. We’re sure you’ll be left feeling refreshed and rejuvenated. The Marina Inn at Grande Dunes is centrally located in Myrtle Beach and just minutes away from Barefoot Landing. At Barefoot Landing, you’ll find some of the most unique stores with gifts perfect for family back home or even to keep just for yourself. At the end of a long day filled with good wine and shopping, make plans to dine at our award-winning on-site restaurant WaterScapes. 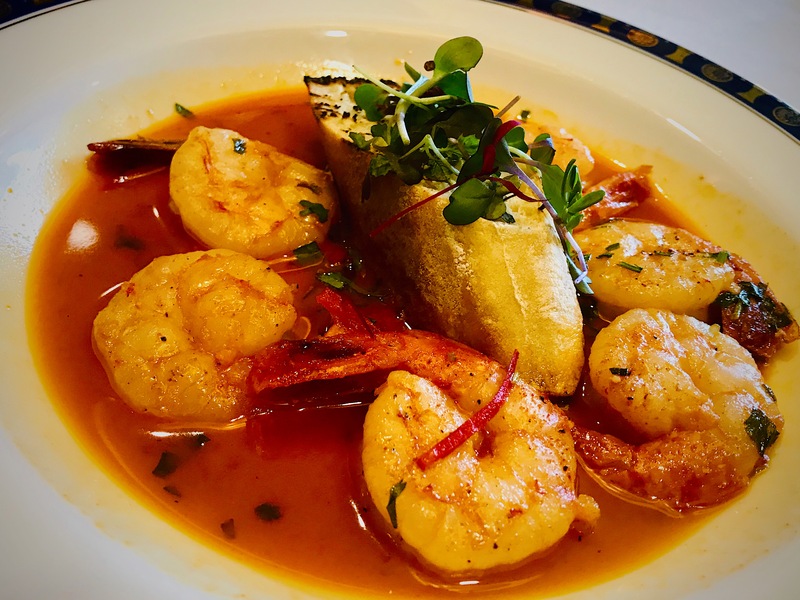 We not only have a new Executive Chef, Chef Robert Astraikis, but he’s recently introduced some brand new mouthwatering dishes we’re sure you’ll love. We offer a wide variety of dishes from Bacon Crusted Diver Scallops to Grilled Filet Mignon. For a romantic sunset dinner, sit outside on our gorgeous patio the feature gorgeous views of the marina. If you’re ready for a sweet getaway to unwind in Myrtle Beach, click here to book your stay with Marina Inn at Grande Dunes and take advantage of the Duplin Wine Package today! With all the hustle and bustle of Christmas, don’t put your New Year’s Eve plans on hold until the last minute! Plan a visit us at Marina Inn at Grande Dunes in Myrtle Beach for an enchanting evening as we welcome in 2019! In the ballroom, enjoy live music by a local’s favorite high energy band N’Tranze! Dance through the end of 2018 and celebrate with a kiss during the balloon drop as the clock strikes midnight! 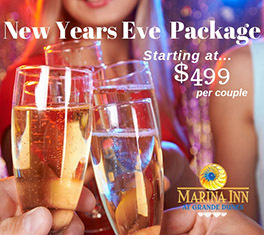 Starting at $499.00 per couple, this is an enchanting way to ring in the new year in Myrtle Beach by staying with Marina Inn at Grande Dunes, a 4 diamond resort! 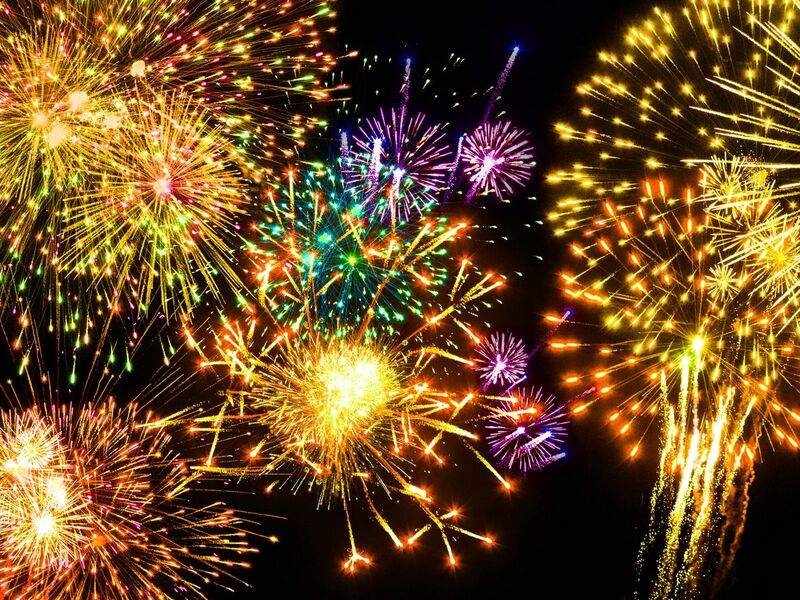 Make the most of the holiday season by spending it with a loved one at one of the best New Year’s events on the Grand Strand! With Halloween just around the corner, now is the perfect time to begin planning a special holiday getaway to Myrtle Beach! When you choose to stay with Marina Inn at Grande Dunes, you’re combining a luxurious stay with a central location to all your favorite attractions along the Grand Strand! Sneak a peek at our holiday packages and take advantage of the incredible deals! Skip the stressful meal planning and book a Thanksgiving to remember at the beach! Marina Inn at Grande Dunes will take care of all the cooking and clean up and all you’ll have to worry about is bringing an appetite! Here at Marina Inn, we are located in the heart of Myrtle Beach with attractions and restaurants only minutes from our luxurious property. Our annual Thanksgiving Brunch includes all your family’s traditional fall favorites like carved turkey and dressing along with coastal specialties like chilled shrimp and oysters on half shell. Our two-night package includes all you need to make memories this holiday season in Myrtle Beach! The holiday shopping season is here! Myrtle Beach has a variety of shopping sure to please everyone’s budget all along the Grand Strand. Coastal Grand Mall in Myrtle Beach is only minutes away from Marina Inn! Newly renovated Barefoot Landing features unique specialty stores like Tara Grinna Designer Swimwear, Ron Jon Surf Shop or Purpleologist, (everything in this store is purple!). Head south toward Market Common where you can get your fix of high-end retailers like Anthropologie and Pottery Barn. Top your day off back at Marina Inn where you can relax and enjoy a scrumptious dinner at WaterScapes Restaurant! Our package includes all you need to kick off the holiday season the right way; here at the beach! A must see for locals and visitors of Myrtle Beach, The Carolina Opry Christmas Show of the South is one you won’t want to miss this holiday season! Featuring a long list of house holiday talent along with the indoor transformation into a Christmas wonderland with 35 decorated trees, 5 miles of festive lighting, and hills of Christmas snow! And to top it off, when you stay with Marina Inn at Grande Dunes, The Carolina Opry theater is right across the street! This two-night package includes all you need to kick off the holiday season! The Duplin Winery Package in Myrtle Beach combines a luxurious stay with Marina Inn at Grande Dunes, wine tasting at Duplin Winery, and a custom basket including items native to South Carolina. 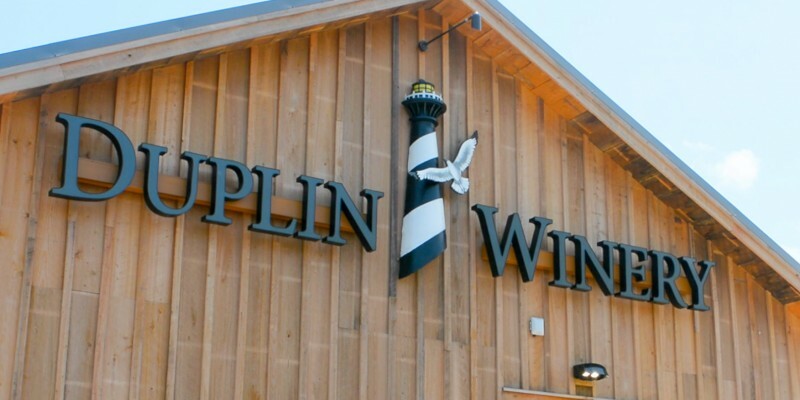 Duplin Winery is located just 10 minutes north of the Marina Inn. Custom wine basket that includes a bottle of select wine from Duplin, wine stopper, bottle opener, Muscadine, Pineapple & Habanero Salsa and crackers upon arrival. Duplin Winery is a top producer of unique sweet Muscadine wine! Muscadine grapes are native to the southeastern states and there is one other Duplin Winery location in North Carolina. Duplin Winery offers more than just delicious wine; the retail store features wine accessories, local items and a café with creamy homemade fudge! Check out our Instagram and Twitter feeds for pictures and reach out if you have any questions! We can’t wait to see you soon at the beach! Even while on vacation fitness is still important! Utilize our beautiful local bike paths that are ideal for a late afternoon walk with the whole family! No matter how you choose to explore, whether on foot or on two wheels, you’re sure to be surrounded by South Carolina’s natural beauty! We’ve listed the paths near our property so you and your family can get outdoors and enjoy the Myrtle Beach weather during your visit with Marina Inn at Grande Dunes. Marina Parkway leads you through the Grande Dunes residential community which means this trail is safe for a family workout! 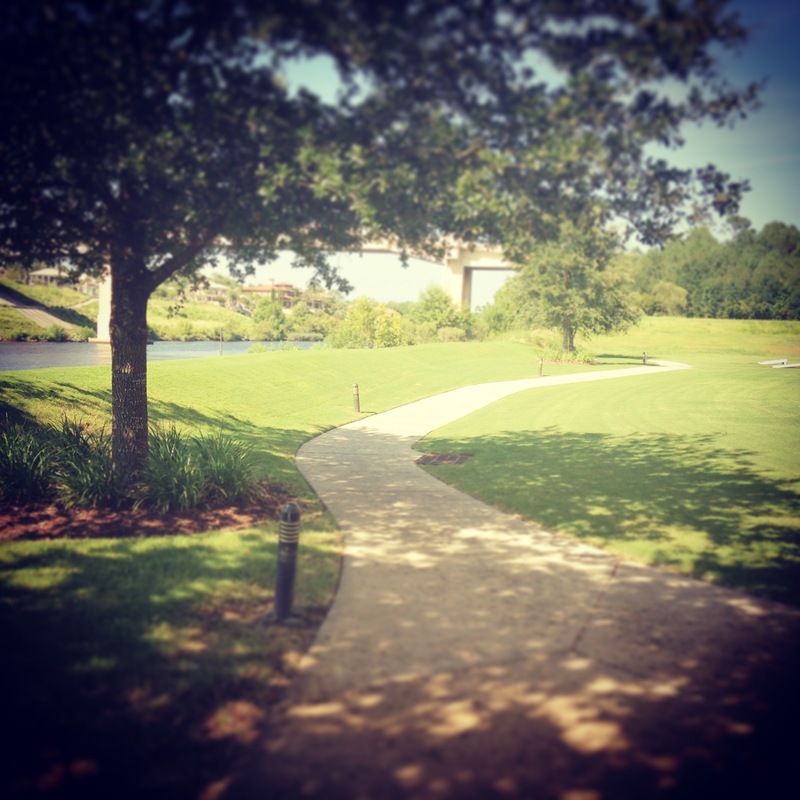 Whether you choose to walk or bike, this is a perfect path for the kids to enjoy the outdoors! If you’re feeling up to a lengthier workout, extend your adventure past Marina Parkway; continue on the Marina Partway trail and it will stretch another 2 miles as Wild Iris Drive. This path will take you through residential areas that wind through the Grande Dunes and Pine Lakes communities! Biking will take you about 22 minutes while walking is 1.5 hours one way. Start your walk on Marina Inn Parkway, passing the Grande Dunes Marina then continue to Colonel Robert Bell Path! This flat trail crosses over a bridge, however, the path is protected from traffic so your workout is a breeze! To reach Perrin’s Path, continue your walk down Marina Parkway then cross over 62nd Ave. to Perrin’s Path! While strolling along, you’ll spot some of the scenic Myrtle Beach neighborhoods visitors and locals alike enjoy seeing! Although dedicated to bikers, this trail works for walking and jogging! The path crosses 2 major highways so beware of rush hour traffic! 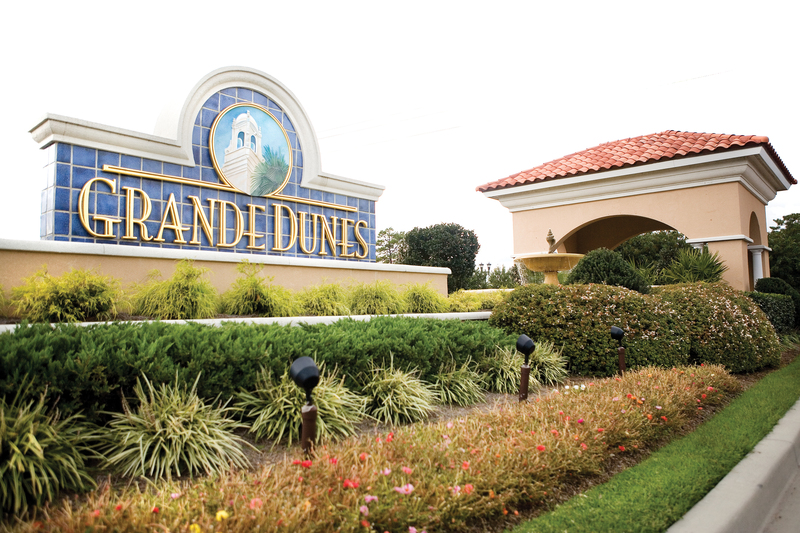 Along this trail, you’ll spot the flawless residential properties along Grande Dunes Blvd.! Grissom Parkway Trail is a lengthy, flat bicycle path that takes you down the Marina Parkway; then over to Perrin’s Path for a short ride – then becomes the Grissom Parkway Trail. Keep an eye out for Broadway at the Beach and Coastal Grand Mall along your near 10-mile path! Note that there are stop lights and crosswalks along the way! Considered the most challenging bike trail in the Myrtle Beach area is appropriately named, “The Hulk”. We like to think the trail lives up to its name! Stretching almost 7 miles, this is a single track trail that twists and turns along the undeveloped terrain. This park is also a trailhead for the new East Coast Greenway. The East Coast Greenway is a developing bicycle trail system that spans 3,000 miles, from Canada all the way to Key West! In the Myrtle Beach area, it crosses S.C. 31 near Carolina Forest and Myrtle Beach was the first spot along the trail to have their path completed! If biking is your forte, you won’t want to miss out on these enticing trails; all just minutes away from Marina Inn at Grande Dunes in Myrtle Beach! It is officially Fall and the weather is perfect for a round of golf in Myrtle Beach! The Marina Inn, a luxury 4 diamond resort, offers a variety of Myrtle Beach golf packages including the Grande Dunes Resort Course located on site. Marina Inn at Grande Dunes is centrally located to the best Myrtle Beach golf courses so traveling there will only be a short drive! We’ll also show you what there is to do in Myrtle Beach when you want to continue the fun after the game. Myrtle Beach, South Carolina has long been known as the ‘Golf Capital of the World’ and it’s no surprise with our proximity to the ocean and beautiful weather year round! 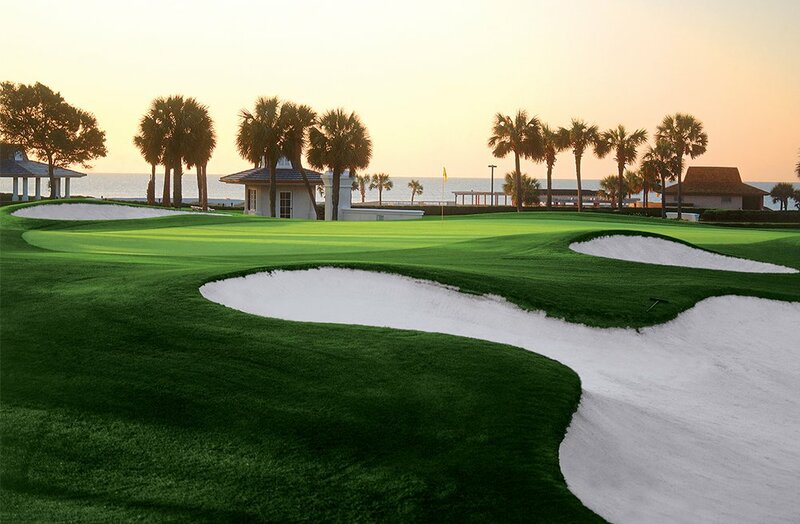 Some of the most beautiful golf courses in the world call the Grand Strand home. 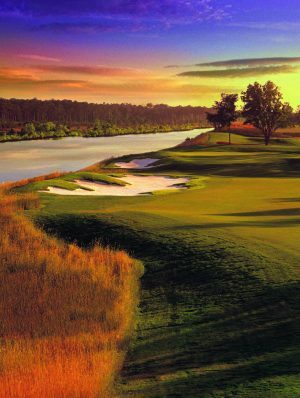 With 7 out of the 18 holes that play along the Intracoastal Waterway, the Grande Dunes Resort Course is quite unique to the Grand Strand! No wonder PGA Magazine said it is “one of the great golf clubs in the world”. 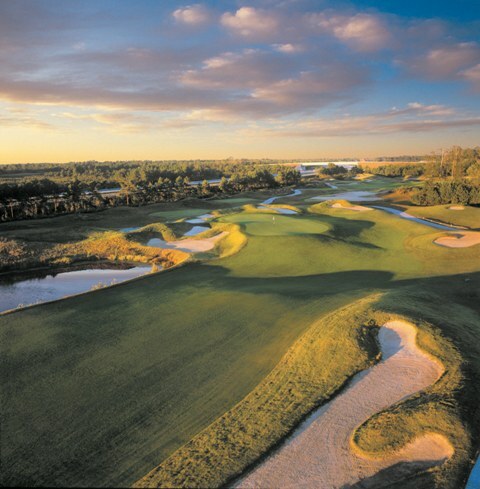 This is our on-site course so by staying with Marina Inn at Grande Dunes you won’t have to travel far to play! 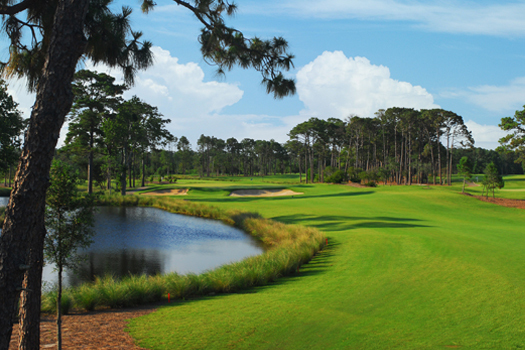 The four courses at Barefoot Golf Resort are named after four hall of fame players – Norman, Love, Fazio, and Dye. Each course has its own quirks and characteristics; just like the players! This resort was named as the 2017 North America Golf Resort of the Year! Located right next to the ocean, (literally in the dunes! ), the Dunes Club courses are sure to satisfy any golf lover’s dreams. While playing the course you’ll get a chance to play up on hole 13, dubbed ‘Waterloo’ – which is known around the world! Experience a match with the sunshine on your face and the warm breeze blowing through as you play for a true Myrtle Beach golf game. A local’s favorite, Pine Lakes course keeps a loyal following coming back year round! Known as the first golf course of Myrtle Beach, the Grandaddy course has been restored to and makes all the other courses green with envy. It’s no surprise this country club’s classic features a rich history that keeps golfers coming back every year! 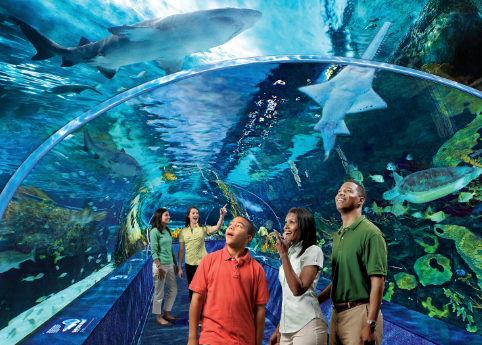 If you need a break from the game, there’s plenty to do in Myrtle Beach to keep the fun going! Enjoy entertainment, attractions, shopping, and dining up and down the Grand Strand. The perfect place to go and spend time when you’re not quite sure what to do. Broadway at the Beach, located centrally in Myrtle Beach, is home to a movie theater, various restaurants, specialty shops, Ripley’s Aquarium, and so much more! Barefoot Landing, located further up the coast in North Myrtle Beach, is filled with delectable restaurants and shopping and right on the marina with a view that won’t disappoint. A local brewery in Myrtle Beach, at New South Brewing Company you can try a unique variety of craft beers and even schedule a tour to learn how their beer is made! 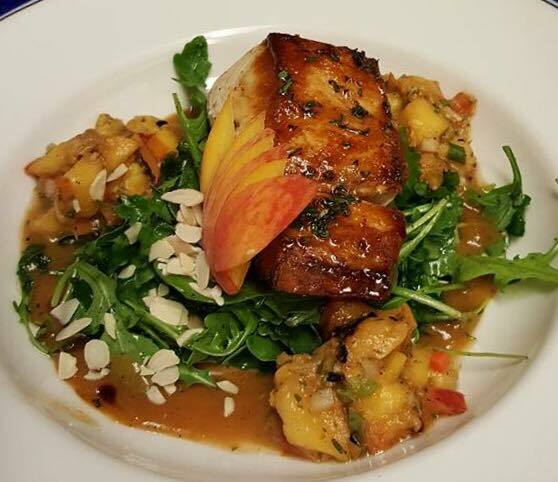 After a long day of playing the course, grab your friends and treat yourselves to a dinner at our fine dining restaurant on site at Marina Inn! With a top-rated chef and an outdoor dining area, WaterScapes is the perfect spot to dine and relax for another round of golf in the morning! When you choose to stay with Marina Inn at Grande Dunes during your next visit to Myrtle Beach’s famous golf courses, you can choose from a variety of different golf packages. Click here to see our current offers. Pack your clubs and we look forward to seeing you on the course! Thank you for the patience and support during the storm the past week! Hurricane Florence was predicted to hit our coast as a Category 4 storm and thankfully it weakened and we were spared from any damage. The mandatory evacuation for our area was lifted and we are happy to be back in operation! The Myrtle Beach area is in excellent condition and we are looking forward to seeing everyone back on the beach. After a rough week for the Carolinas, we hope to see families and friends enjoying a getaway filled with quality time and good memories! The weather is warm and there is still plenty of fun to be had this fall around the Grand Strand. For the remainder of September, take advantage of our special offers to spend some much deserved time relaxing with your loved ones! We wanted to update our guests on travel and road closures due to the continued flooding happening further inland. If you’re driving to Myrtle Beach by car, please be sure to check the roads and map out a route before you begin traveling. Utilize these websites below for current information on our state roads and various detours you may need to take. Use your smartphone and download the Waze app to view closures in real time! Most people tend to splurge their savings when it comes to vacations but this summer, get more for your money by planning with these tips in mind. One way to miss the crowds is visiting the first two weeks of June or the last two weeks of August. At this point in June, Memorial Day Weekend traffic has cleared out and in August this is the last chance before the rush of Labor Day Weekend. By choosing to visit Myrtle Beach in the middle of the week, (rather than weekends), you’ll find cheaper rates and fewer crowds! Plan to visit between Sunday and Thursday so you can skip the crowds who visit on the weekends. When searching for that perfect spot to grab lunch or dinner, plan to visit local restaurants rather than the chains that tend to be more crowded. Some great local options include: Sea Captain’s House, Croissants, and Soho are all near the beach and restaurants along the Marshwalk offer fresh seafood and views of the inlet! There are also plenty of yummy options close to The Marina Inn: Anchor Café, Blueberry Café, Ultimate California Game Zone, Ducatis Pizzeria, and River City Café. If you feel like staying onsite, you can enjoy a meal at our award-winning restaurant, WaterScapes, with a picture-perfect sunset backdrop. Plus take advantage of our “Kids Eat Free” program – where kids eat free all summer long! As a guest at Marina Inn, a private beach access is available and travel is covered with a complimentary shuttle. Not only do you not have to worry about paying for parking, but you don’t have to haul around a chair or cooler. Chairs, umbrellas, and towels are waiting for you and a snack shack is onsite with food and beverages available for purchase. You can enjoy the natural landscape of the beach free from high rise hotels and noisy attractions. 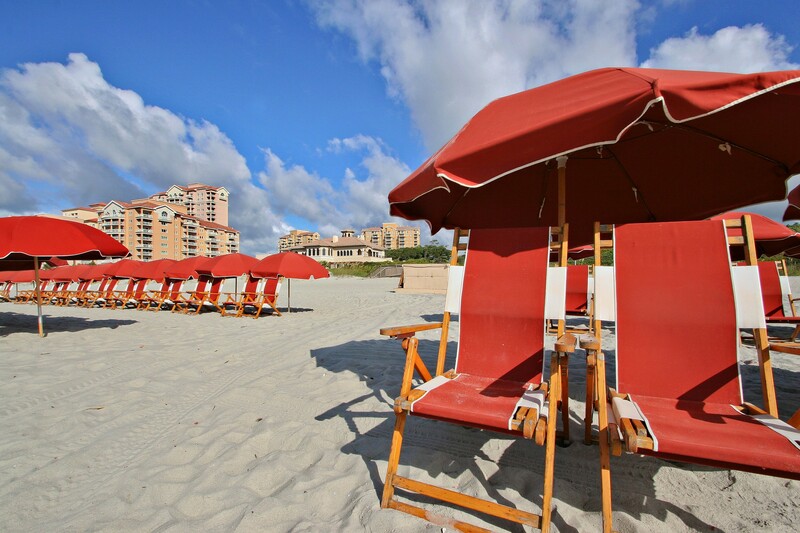 Our private beach allows you to reach ultimate relaxation with all the convenient amenities. In the chance you see some rainy weather or just feel like staying out of the sun for the day, head to the Market Common for movies, lunch, and great shopping. The local mall and outlet shops will likely be crowded with tourists coming off the beach. 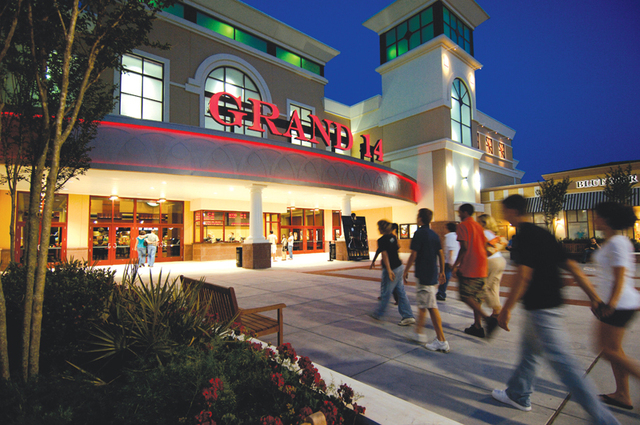 Stone Theaters in Market Common has special deals every week! Discount Tuesdays allow you to receive $5 tickets and $5 popcorn and soda specials. If you feel like catching an early show later in the week, they offer $5 tickets for the first showing of any movie on Sundays! There are fewer crowds at the theater when you go early and the variety of restaurants nearby allow you to easily grab a quick lunch or ice cream from Cold Stone Creamery in Market Common after the movie. There are plenty of activities the kids will enjoy when you beat the heat and skip the beach. WonderWorks is a quirky funhouse filled with puzzles and games to keep your family entertained all day! The Hollywood Wax Museum is also a great way to spend some time before lunch or dinner. Or take a trip under the sea at Ripley’s Aquarium. All three attractions are located around Broadway at the Beach – which is only a short drive from Marina Inn. And there are plenty of restaurants and shopping nearby to choose from. We’re offering great rates when you book your summer vacation during our Summer Sale! Book your Myrtle Beach getaway anytime from June 1st through August 31st and you’ll save up to 35% on your stay. And for even hotter discounts – travel Sunday through Thursday! 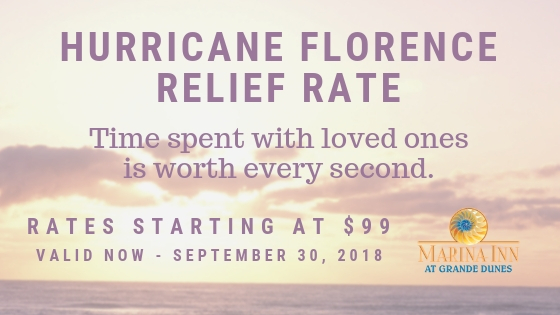 Click here to book now. Plan your next vacation at Marina Inn at Grande Dunes and follow these tips to save like a pro so you can relax without blowing through your savings! 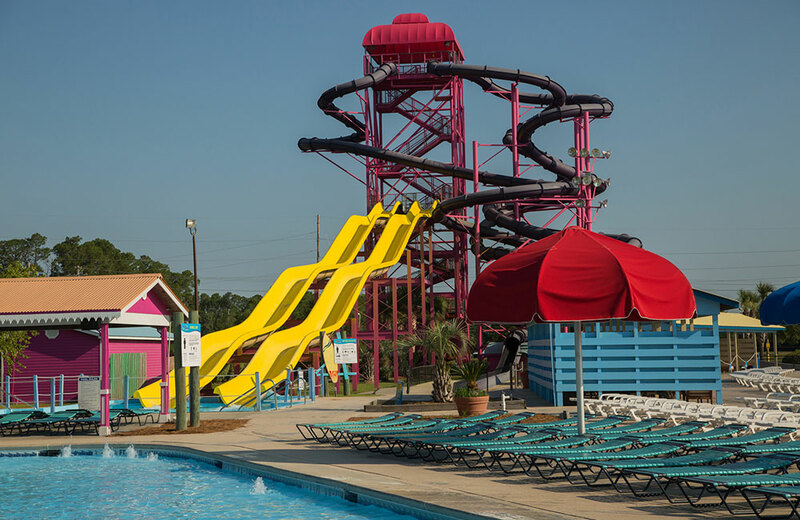 A summer vacation spent by the ocean is serene and calm, but if you’re looking to take this year’s get-away to thrilling new heights; look no further than the best water attractions on the Grand Strand! The parks featured below offer a more action-packed family experience in Myrtle Beach that everyone is sure to love. 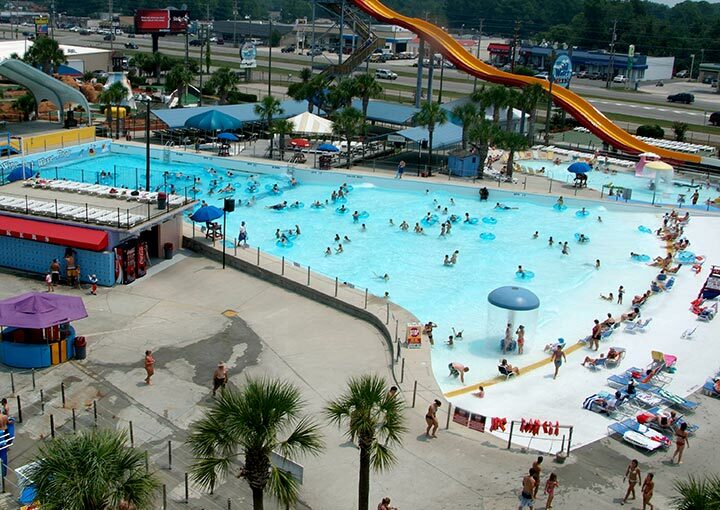 Myrtle Waves Waterpark offers a family-friendly atmosphere where everyone can cool off on a hot day on the Grand Strand! A unique feature of the park is a summertime movie night every Thursday beginning June 12th and lasting through August 16th. Myrtle Waves screens the movie above the wave pool so you can watch the movie while floating on an innertube! During the day, your family can spend time on the various water slides and even take turns surfing on the Flow Rider! Open throughout the summer from 10:00 am to 6:00 pm but on movie nights they will stay open until 9:00 pm! Located just a short drive from Myrtle Beach, Little River is home to the rugged Shark Wake Park! This intense water park includes a wake park where the bravest adventurers can experience cable wakeboarding. The park offers lessons and special packages making it a fantastic venue for a birthday celebration! There are a few requirements to consider before bringing the family and enjoying the park; children must be 7 years or older and meet the minimum height of 45”. 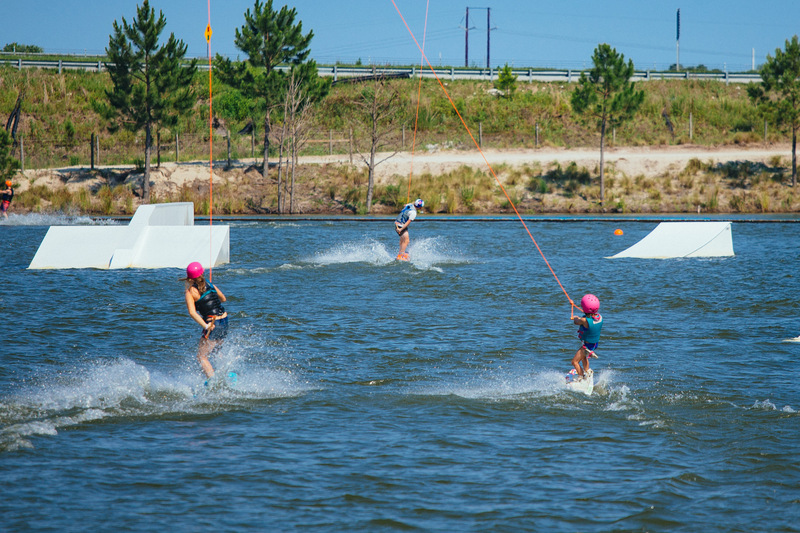 The Wake Park is open Wednesday – Sunday throughout the summer. Be sure to visit their website to sign their waiver before you arrive! A part of the Shark Wake Park, the Inflatable Aqua Park is a gigantic, colorful floating obstacle course built to make you feel like you’re walking on water! This attraction is perfect for kids and family friendly. If hunger strikes, you can visit the Shark Shack for refreshing beverages and tasty food to refuel after being in the sun. 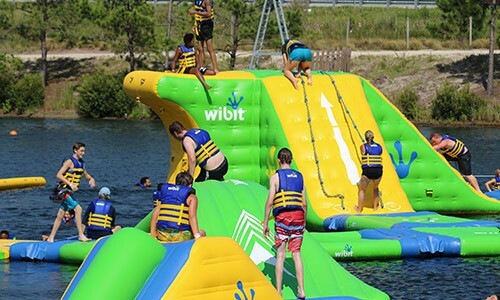 The Aqua Park is open Saturdays and Sundays until Memorial Day and is open every day during the summer. They’re also available for booking parties. Jump Jam offers wild fun with large floating jungle gym rentals. 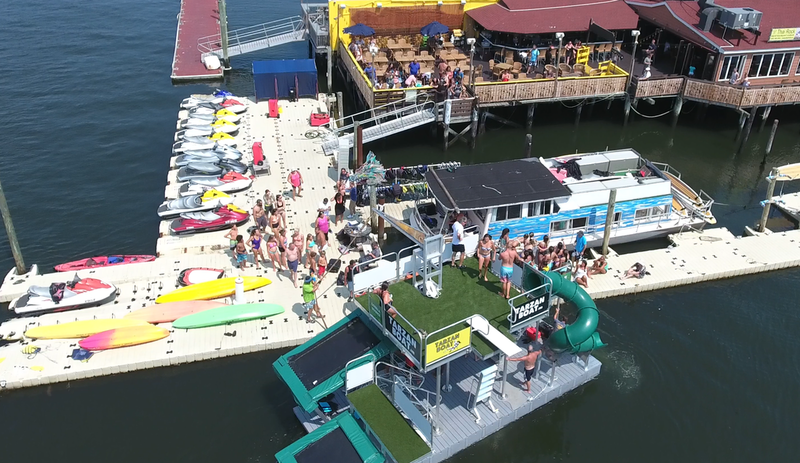 Located at Crazy Sister Marina in Murrells Inlet, Jump Jam allows for large families and parties to all enjoy their very own floating water park! With a variety of different jungle gyms to choose from, there’s no doubt your family will be satisfied with one of them. Attendees will always make sure safety comes first and keep a watchful eye on the participants. Regardless of whether you’re just floating in the water or launching off the trampoline, everyone is required to wear properly fitted life jackets. Open play is available every day this summer but be sure to visit their website to book a party! Wild Water & Wheels is unlike any other with a unique combination of both water fun and a race zone for go karting! The park also features a mini-golf course which makes this the perfect park to keep everyone entertained! Fun in the sun is a given so take your pick between the Head Rush slide and the heart-stopping Free Fall Cliff Dive. These towering slides are not for the faint of heart! The waterpark is open from 10:00 am to 6:00 pm and stays open until 9:00 pm on Fridays in the summertime. The rides are open every day at 1:00 pm. When you book your stay at Marina Inn at Grande Dunes, you’re close by all the wet n’ wild action. 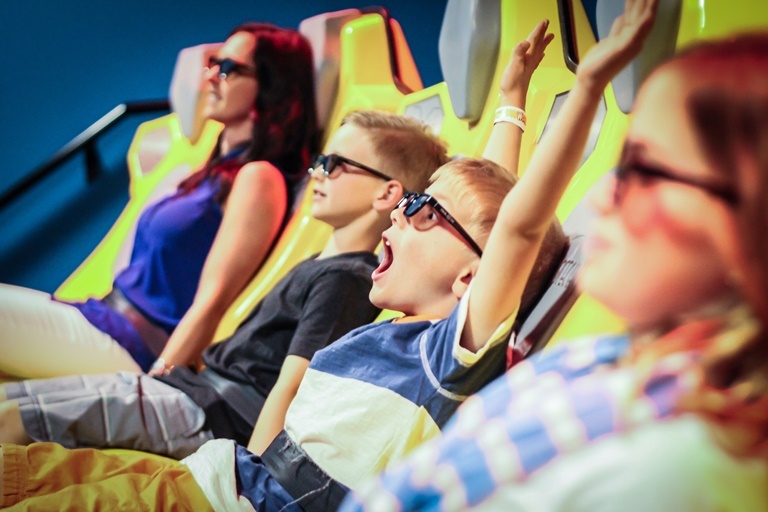 And when you book under our Family Package, you’ll receive 2 Adults and 2 Children’s passes to Myrtle Waves WaterPark. 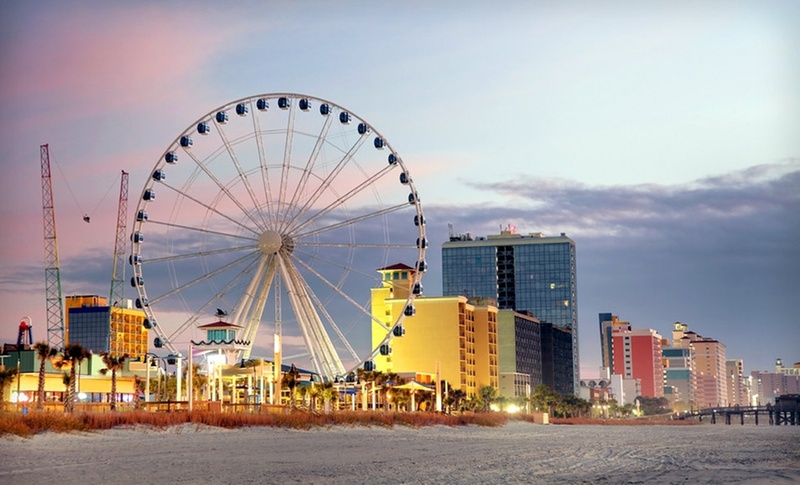 While the beach will always be our favorite main attraction here on the Grand Strand, you’re not going to want to miss out on what these parks can offer. Whether it’s watching your favorite movie while floating in the wave pool or learning how to shred on a wakeboard, paying a visit to these parks will offer a unique experience for you and your family! Top Golf is Coming to Myrtle Beach!